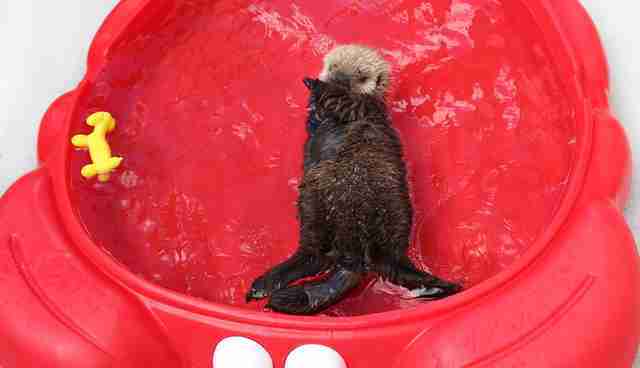 Just in time for Sea Otter Awareness Week, a two-month-old otter who was found entangled in fishing nets has now recovered in a big red tub in Alaska, thanks to her rescuers. Brought to the Alaska SeaLife Center in July, she's finally regaining strength after her harrowing stranding - and now tipping the scales at 10 pounds. 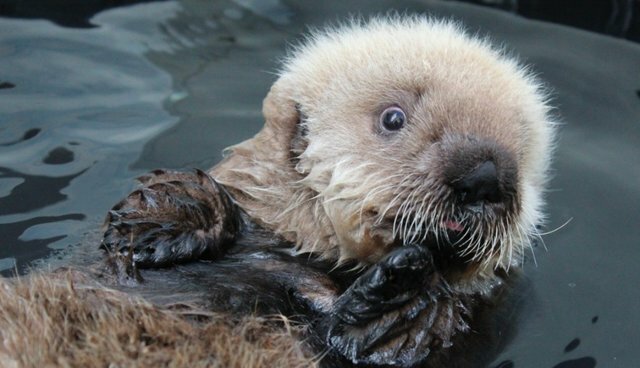 Sea otters, the heaviest member of the weasel family, are an endangered species. Their numbers were decimated in the late 1700s and 1800s by fur traders who valued their soft, water-resistant pelts. Now, habitat loss and conflict with fisheries has threatened to wipe the species out entirely. Now, this lucky pup is being fed formula and some solid food every two hours at the rehabilitation center, and being constantly groomed. Under U.S. Fish & Wildlife regulations, pups at such a young age can't be released yet - but she will be moved to the center's "I.Sea.U," an area where she can become more independent and care for herself. Plus, she gets a new red tub. 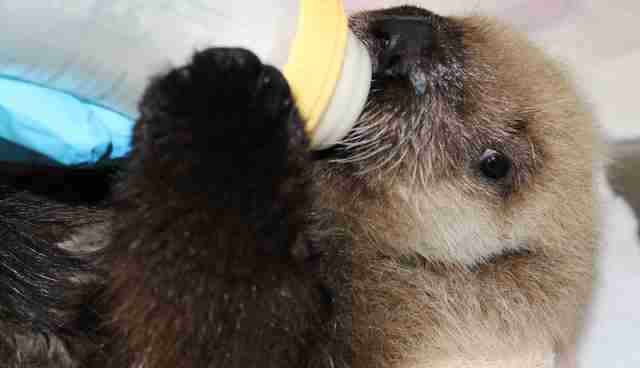 Learn more about how to celebrate Sea Otter Awareness Week by helping otters here.